This rasam tastes good and has good aroma. Pepper and cumin aid in digestion and have good healing effect when consumed during cold or fever. Toddlers too would love the taste of this rasam. 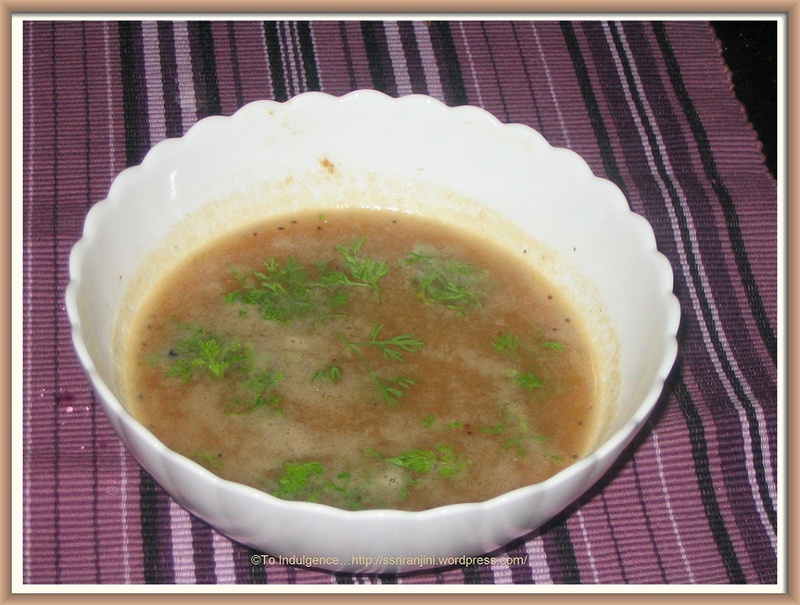 Do not stir the rasam for toddlers and mix with dal and rice dotted with ghee.This rasam may be served hot as a soup. 1. 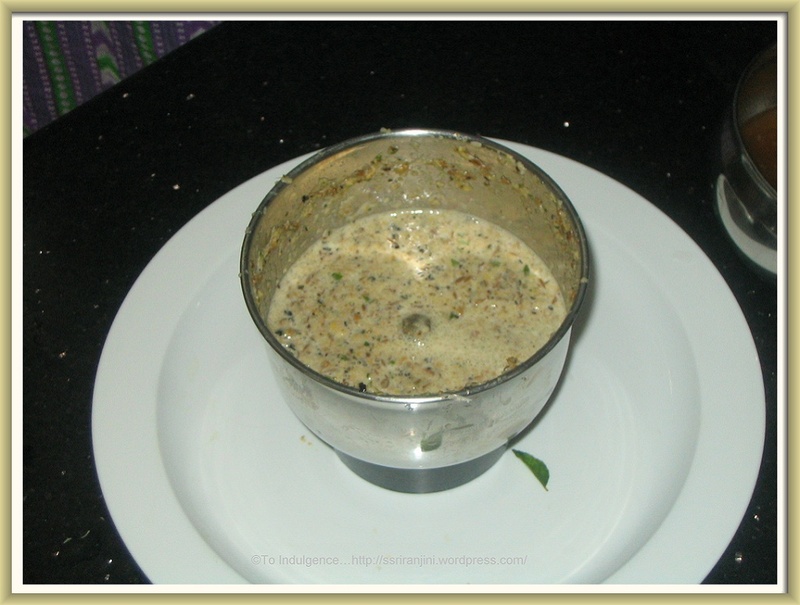 Soak the Jeera, black pepper corns, Toor dal, coriander seeds and curry leaves in ¼ cup of water for 20 to 30 min. 2. Grind the soaked mixture along with garlic coarsely. 3. Squeeze out the tamarind juice using 2 cups of water and boil the juice with asafetida and salt. Stir well and boil till the raw smell of the tamarind disappears. 4. Add the ground mixture and remove from heat when the mixture turns frothy. 5. Taste and adjust the salt and add water to increase the quantity. 6. Heat the ghee in a pan and sauté the mustard seeds and add it to the rasam. 7. Garnish with coriander leaves, if required. 1. Do not grind the mixture finely as the rasam will become too hot to eat. 2. You may discard garlic if you do not like the taste of it. 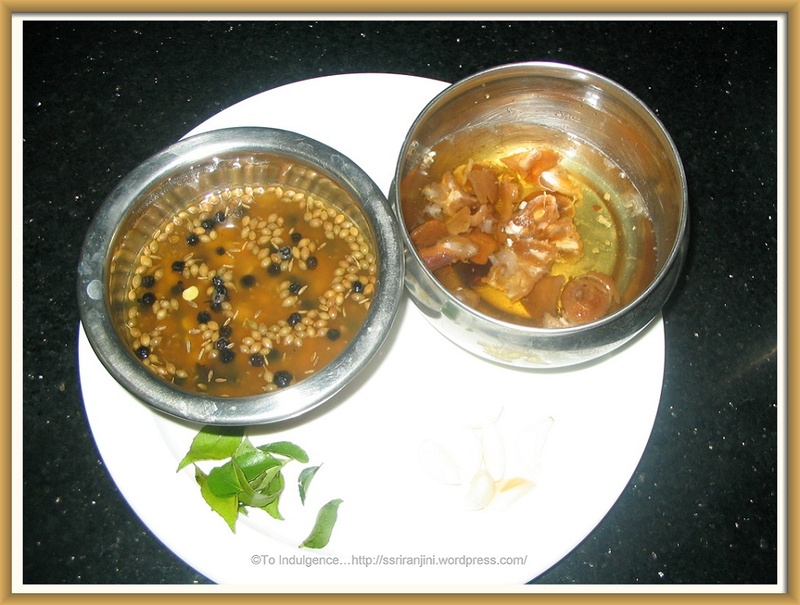 Simple and gorgeous rasam that is very healthy.